Scosche has provided us with a first for MashButtons, a Bluetooth Car Stereo Receiver with Wireless App Control, so I jumped at the opportunity to rip apart my dashboard and replace my two year old Pioneer head unit with wireless access to my phone and music library. 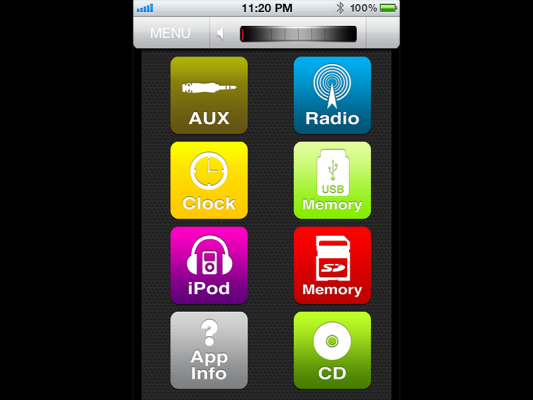 The receiver links to your phone via Scosche’s ControlFreq app and turns your phone into the receiver’s display and remote. The face of the receiver has a USB input, auxiliary input, and microphone for hands free without having to access my phone. Lower the removable face and you also have direct access to the CD player and SD card slot. After a brief and easy one hour install with the Scosche provided wiring harness, I had the receiver in my pickup truck and synced to my phone, playing my current library. My phone would automatically link to the receiver when in range, so I got rather curious about the numerous ways to play music from the device and tuning to my my liking. With the variety of inputs, you can access and play music from just about anything you like. Having wireless access to stream music, just about anyone in the vehicle can control what is playing, change sources, adjust the equalizer, and volume. Being able to take and end calls from the dash is also convenient and makes things simpler while driving. The first thing I noticed was the sound quality when streaming wirelessly from my phone, it dropped significantly in comparison to when I had my phone phone connected via USB. Also, there is not much in the way of tuning when it comes to the graphic equalizer as you can only turn the sub on or off and have access to tuning the bass and treble levels. Lastly, when streaming you can see the track info on the phone but it does not broadcast the information to actual head unit, instead the display only shows BT Remote or the time. 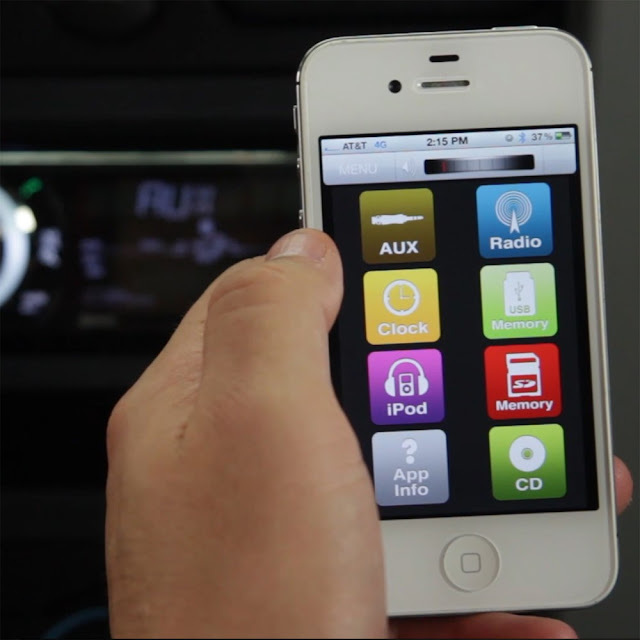 The Scosche wireless receiver is an entry level receiver that adds convenience in control via connecting and controlling the device from a bluetooth Android or iOS device. While it did not provide a lot of features that my old entry level receiver had, it did offer Bluetooth compatibility which is found in head units that are significantly more in price. 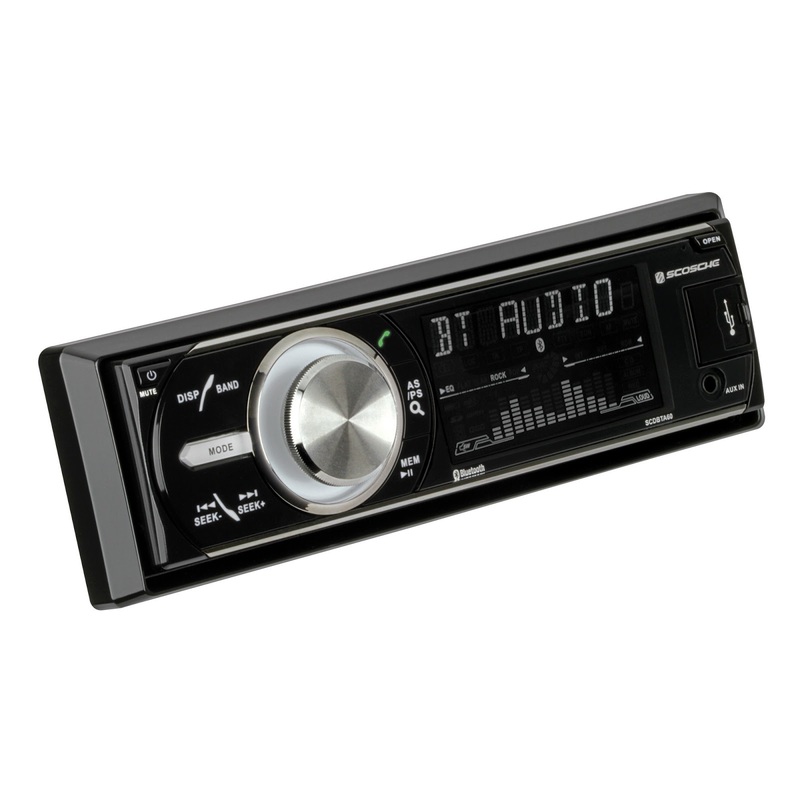 This receiver would be a great fit for someone that has a vehicle equipped with a receiver that is outdated and does not currently have wireless capabilities or auxiliary outputs to play music from their smart phone. While it was not a good fit for someone like myself with an aftermarket stereo this is a solid affordable device for someone that needs a replacement to a stock or broken head unit.